New Granite countertops were just installed, the best part begins. Minimum maintenance! 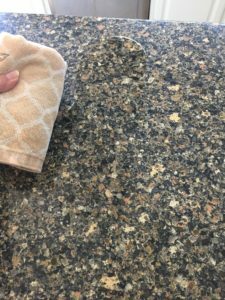 You recently picked out your new granite countertop and got it installed in your kitchen and/or bathroom, but do you know how to take care of it? 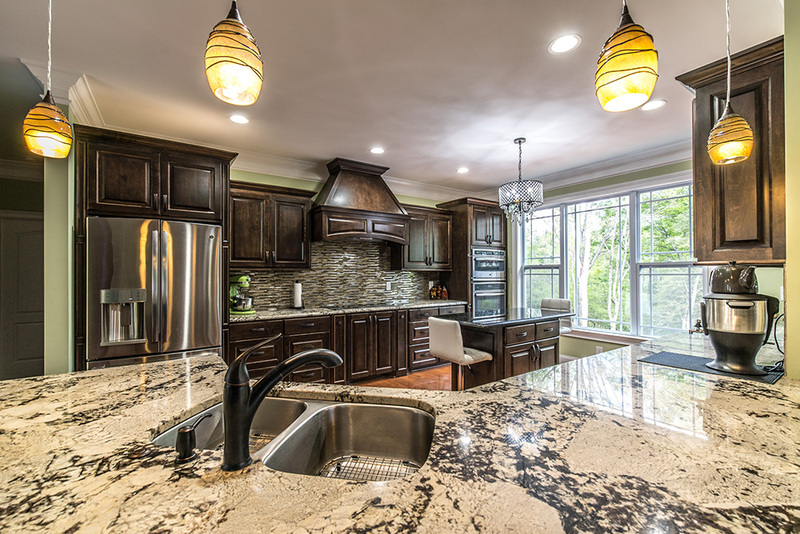 Granite is beautiful, durable and it doesn’t require much maintenance. However, it is susceptible to staining and does require minimal care to ensure it stays in great condition. 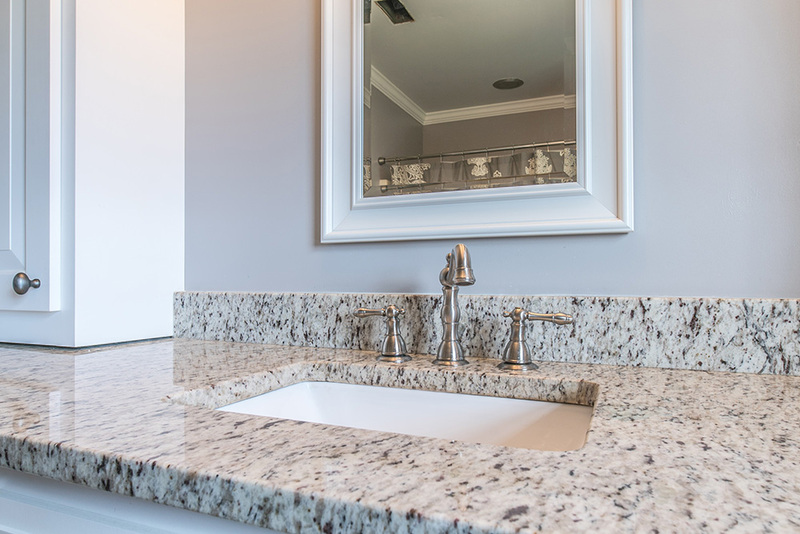 If you take good care of your granite countertops, they can last for decades and will look just as polished and beautiful as the day they were installed. Granite countertops benefit from a quality sealer product. Unsealed countertops have a high risk of permanent stain damage. East Coast Granite offers a 25 year warranty sealing treatment that protects against all staining. Our sealer is applied one time compared to our competitor’s sealer that must be reapplied frequently (every 6 months to a year). Our one time application will end up costing less versus having to pay each time the sealer is reapplied as well as not losing the use of your kitchen or bathroom during the application process. Learn more about our Granite Sealer. When cleaning your granite countertop, do not use harsh scrubbers or cleaners. Sponges that can scratch will wear down a sealant. 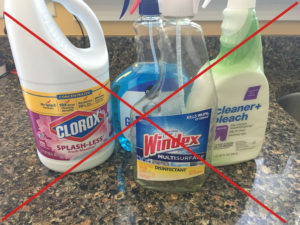 Also, you can use ph neutral soap to clean the countertops and steer clear of Windex, acidic products, bleach or vinegar. Make sure to wipe down your countertops regularly and keep the surface free of dirt and grime. You can clean the countertop with warm water and a few drops of dish or antibacterial detergent using a soft cloth. Although, dish soap is fine to use on occasion, keep in mind that constant use of dish soap can dull your countertop shine. Rinse the countertop with clean water and dry it with a soft cloth. If you want to keep your granite countertop really protected, the best choice would be to use a granite cleaning spray. If your granite darkens when it is wet, do not be alarmed, it will return to its original color when the water evaporates. When you spill a liquid like milk, juice or soda on your countertop, do not wipe it down because it can spread throughout your countertop. Blot it with a soft cloth or paper towel instead. After, dry your countertop with a dishcloth so that the moisture does not seep into the pores of the stone. Hot cooking pots probably won’t damage the surface since granite can withstand high temperatures, but extreme or constant temperature changes can harm your stone. Avoid leaving hot pans sitting on granite in a cold room. In order to protect your granite from moisture absorption, use coasters under anything that is filled with liquid. Be careful with dark colored liquids like juice, soda, or red wine. It is also good practice to use cutting boards on your granite countertop to avoid the possibility of scratching the surface. Unlike laminate countertops, granite countertops are very hard, but they are not flexible and do not have plywood backing. Too much weight in one spot could cause a crack. Also, be observant over what wall decorations you have hanging over your granite countertop. Did you get a stain on your countertop? To remove stains from granite, you can make a paste of baking soda and water. You have to gently scrub the spot with the paste with a soft cloth. It may take several tries to get the tough stain out. If you have a tough stain, you can put the paste on the spot and cover with plastic wrap. Let it sit unit the paste dries. This can take a couple of days. Once the paste is dry, use a soft cloth to wipe, and after rinse with warm water. East Coast Granite has been in business for over 10 years and has completed over 25,000 Projects. Our 20 plus locations have access to thousands of stone slabs and are ready to deliver a quality installation at any given time. Not only do we offer countertops of superior quality, we also install them to the highest industry standards. Why settle for second best when the team at East Coast Granite stands ready to help you make the best choice for your home? Get a free estimate today by filling out our form or calling us at 855-454-2065.